Last week geopolitics Zen master Robert Kaplan put forth a “realist creed” for analysts and practitioners of American foreign policy. Kaplan observes that we all fancy ourselves realists. Few admit to being otherworldly thinkers, detached from the hardscrabble realities of world politics. That remains true even if, in practice, they advocate unworkable policies or policies no one could execute with the means on hand. Some rules and principles, then, are in order to ensure that would-be realists see, acknowledge, and operate within the bounds imposed by reality rather than launching into crusades or flights of whimsy. Self-discipline is good. And most of Kaplan’s precepts are sound and unobjectionable. We should all accept that there are limits to U.S. power, for example, while acknowledging that not every problem is soluble. But one of his propositions merits expanding upon, critiquing, and perhaps revising before we fellow realists embrace it. It’s the last one: “Passion and Good Policy Often Don’t Go Together.” Kaplan alludes to the danger that hothead advisers, policy wonks, or sundry talking heads will stampede top decisionmakers into ventures that are unwise on their face, or into worthy ventures that outstrip the means our republic is prepared to dedicate to them. One imagines he has the Iraq War on his mind. In that sense the Naval Diplomat violently agrees with his maxim. Philosophers and strategists of realist leanings, from Aristotle to Clausewitz, agree that reason should subdue passion. The greats of American foreign policy and strategy — the Washingtons and Lincolns and Roosevelts — are statesmen notable for their self-mastery. George Washington, for instance, thirsted for a decisive battlefield victory over the Redcoats — a feat of arms that would seal his reputation as a soldier. He lost set-piece battles catastrophically on Long Island and Manhattan — and mastered his desire for personal renown for the sake of the glorious cause. It’s hard to win when you lose your army. Or, Theodore Roosevelt brandished a big stick but indeed spoke softly. Self-restraint is a — if not the — crucial virtue of any leader. So Kaplan is right — to a point. In another sense there is no good policy without passion. Reason should remain firmly in charge during the making of policy. That’s what Clausewitz means when he makes rational subordination of arms to policy a pole of his “remarkable trinity” of war, and insists that reason “mainly” resides in the political leadership. And yet. If passion takes a back seat to reason when devising policy, popular sentiment is indispensable when executing policy — particularly in martial enterprises. 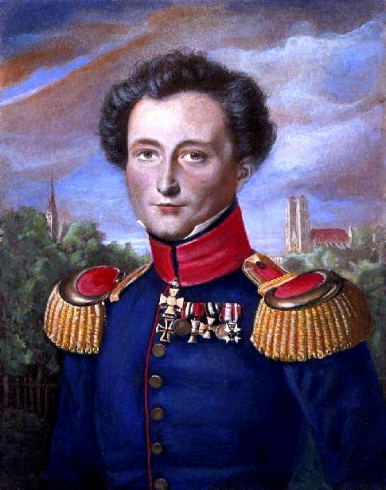 Clausewitz maintains that the “passions that are to be kindled in war must already be inherent in the people” to sustain the effort. Otherwise the nation risks fighting a halfhearted campaign that yields lackluster results. Lackadaisical combatants typically accomplish little. So let’s accept Kaplan’s rule while appending a Clausewitzian asterisk to it in our minds. A century ago Woodrow Wilson beseeched Americans to wage war in Europe “without rancor” and to “conduct our operations as belligerents without passion.” A nice thought, but unsound strategy. The Vulcans of Star Trek fame — totally logical, dispassionate beings — would make a poor face for American strategy. Maybe that’s why they end up being overtaken by earthlings technologically, and joining a human-led Federation of Planets. Prosecuting your affairs without passion, through pure cost/benefit analysis, may mean you compromise or give up more easily than you should. The exception to this sci-fi rule, perhaps, would be Mr. Spock, the half-human, half-Vulcan science officer on board the starship Enterprise. But he’s the exception that proves the rule. Bear in mind that, while Spock keeps intellect in command when devising courses of action, it’s his human side — the ardor he tries to conceal and suppress — that gives him the stick-to-itiveness to see an effort through to its conclusion. Reason and passion, it seems, constitute the yin and yang of human affairs. Of successful ones, anyway. Live long and prosper — passionately! A recent essay by Robert Kaplan offers fascinating insight into South Asia's political stability.